The Dutch go to the polls on 15 March, and the result could reveal the direction of political change in Europe in a year of elections in France, Germany and maybe Italy. Much of the debate has focused on whether there will be an anti-EU government, but this idea is more difficult to gauge in the Netherlands than in France, for example, where presidential candidate Marine Le Pen has a clear anti-EU agenda. Geert Wilders' Party for Freedom, which wants the Netherlands to leave the EU, is leading in polls. But he will most probably not get an overall majority. Dutch governments are usually coalitions. The outgoing government consists of two parties, but if current polls are anything to go by, four or maybe five parties will be needed this time. The coalition puzzle could be very complicated and yield some unexpected winners. Because the traditional establishment parties are expected to shrink in size, smaller parties may play a role of kingmaker. So far, 14 parties are expected to win seats in the Dutch Lower House. 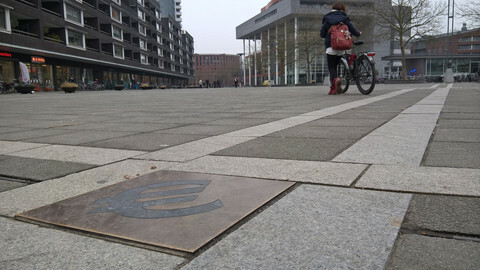 The centre-right Liberals, who sit with the Alliance of Liberals and Democrats (Alde) in the European Parliament, have been in government since 2010, with leader Mark Rutte as prime minister. First in a minority government with the Christian-Democrats, with Wilders' support, and since 2012 in a pragmatic coalition with Labour. Rutte has portrayed the election as a choice between him and Wilders, and has adopted more populist rhetoric. However, he said he would fight a Dutch exit from the EU with everything he has. The party's electoral programme, mildly eurocritical, focussed on keeping the internal market functioning. It is expected to lose many seats, but still end up as one of the two largest parties. The centre-left Labour party, members of the Socialists & Democrats (S&D) group in Brussels, are heading towards a beating, if people will vote the way they have been telling opinion pollsters. Last December deputy prime minister Lodewijk Asscher dethroned party leader Diederik Samsom in an internal election. Its electoral programme says the EU is too focussed on the internal market, and instead should tackle unemployment, migration, and tax evasion. The party is mildly pro-EU: “Now is not the time for big federalist steps, or to retreat behind the dykes”. 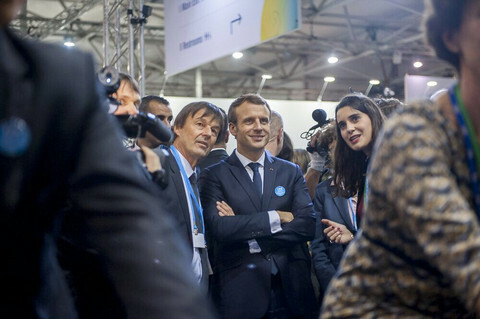 The centre-right Christian-Democrats, member of the EU's largest political group, the European People's Party, have been somewhat marginalised since the previous election. It is has always supported European integration, but in its electoral programme it says Europe should focus on security and economic stability. CDA also wants to continue European cooperation in environmental and energy policies, but says that this could also be done by a group of frontrunners, calling for a Europe of several speeds. Set up in 1966 out of concern over the “diminishing influence of voters” and the “inadequacy of the outdated political rules”, the group calls itself progressive liberal democrats. It shares the Alde group with PM Rutte's party, but is far more pro-EU. It is one of the few to have produced an English summary of its electoral programme, saying it wants “more European cooperation, striving towards a European army”. It also calls for quicker and more transparent EU decision-making processes. “There will be fewer vetoes and a stronger mandate for the [European] Parliament and the [European] Commission,” it said. 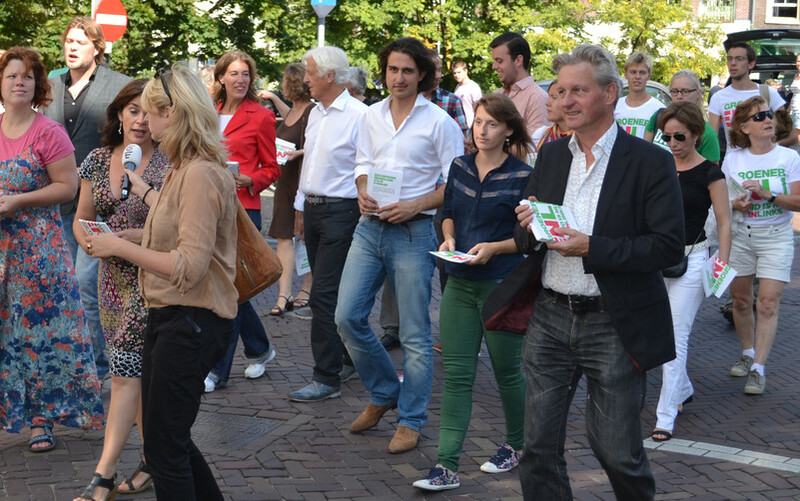 D66's centrist position in the political landscape means it can support both centre-left and centre-right coalitions. The far-left Socialist Party, which huddles with the European United Left–Nordic Green Left (GUE/NGL) group, has been critical of the EU ever since it entered parliament in 1994. Party leader Emile Roemer had a sobering experience in 2012, when the SP was riding high in the polls, but then on election day voters chose the more moderate Labour party instead. The party wants to abolish the European Commission, negotiate a new EU treaty which “increases the independence” of member states, and let the voters decide on that new treaty via a referendum. 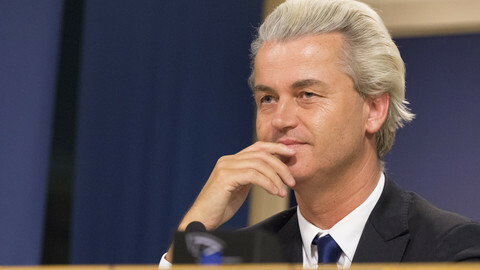 The far-right Party for Freedom, which in the EU parliament sits with the Europe of Nations and Freedom, is still very much a one-man organisation, with MP Geert Wilders in charge. Wilders defected from the Liberals in 2005. His two main issues are his opposition to Islam, and to the EU. His one-page 2017 electoral programme is midget-sized, compared to the average 72 pages competing parties compiled. On the EU, it just said: “Netherlands independent again. So out of the EU”. Most other political parties have said Wilders' opinions are too far removed from their own, and excluded working with him. The Party for Animals is a left-wing ecological party, part of the far-left GUE/NGL group, which advocates a radically different society. Beyond its animal rights focus, it wants to reform the economy which it thinks is too focused on growth, and tax resources instead of labour. It wants to reform the EU's common agriculture policy: subsidies should help farmers to make their farm more ecological, and then be abolished. It wants to discuss “alternative scenarios” to fix the euro crisis, including parallel currencies, an end to the European Stability Mechanism, and wants national parliaments to have access to internal European Central Bank documents to scrutinise its policy. The Christian Union is an orthodox protestant party, with a long history of euroscepticism. 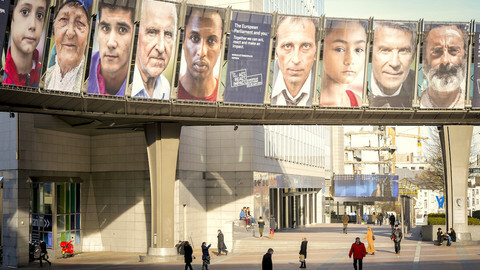 In the European Parliament, it sits with the European Conservatives and Reformists. 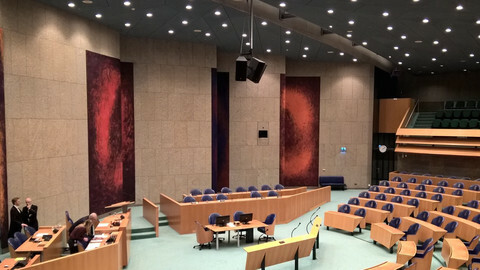 It is centre-left to left-wing on some social and economic issues, but is against the mainstream Dutch liberal attitudes towards abortion and euthanasia. In its electoral programme, Christian Union proposed that the European Commission's right to table proposals is limited to the areas of customs union, competition, international trade, and monetary policy. 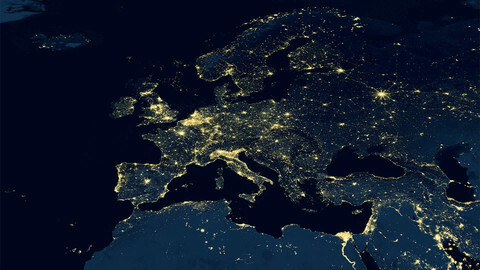 Accession talks with Turkey should be broken off, and only the former Yugoslav republics, Switzerland, Norway, and Iceland should be allowed to ever join the EU. Greece should leave the eurozone and receive partial absolution of its debts. The Reformed Political Party is the Netherlands' oldest political party and a member of the ECR group at EU level. A hardline Calvinist group, it wants to introduce a theocracy, is anti-abortion and anti-euthanasia. Its website cannot be accessed on Sundays. Until it was forced to by a judge, it excluded women from running on the party's ticket. It says the EU should be “radically reformed” and not accept any new members. The powers and budget of the EU commission should be reduced, and the European Parliament should become advisory - national parliaments should keep the commission and EU Council in check. Greece and other southern countries should leave the eurozone. Polls consistently indicate 50PLUS, which focuses on the elderly, will become one of the big surprises of these elections. It is a party with populist tactics, and a party leader who in his interviews and statements is not overly concerned with statistical facts. Its electoral programme said the EU should focus on economic and monetary policy, environmental and energy policy, security, defence, and external relations. The number of MEPs should be reduced by half. Continued EU membership, and a “strong stable euro, if need be with fewer members”. GreenLeft, affiliated with the Greens/EFA group, is profiting in polls from the appeal of its new leader, 30-year-old Jesse Klaver, who has organised sold-out meet-ups in concert halls. The Greens want to give the European Parliament the right to propose law, a common tax policy to prevent tax evasion, and opposes trade deals like Ceta and TTIP. It also rallied behind a European army, which shows the party has come a long way since it was set up in 1989 as a merger of four parties, including a pacifist group. Turkish-Dutch MPs Tunahan Kuzu and Selcuk Ozturk left the Labour party in 2014 and founded Denk (Think), which is directed at Dutch voters with a migration background. Political opponents criticised their perceived soft response to the government crackdown after the coup in Turkey. Denk, which is active on social media, says it wants to reform the EU, but is short on details. It says there should be less “rules and demands laid down by the European Union”, and more rights for the European Parliament. Right-wing VoorNederland (for, or in favour of, the Netherlands) was set up in 2014 by former Wilders allies. 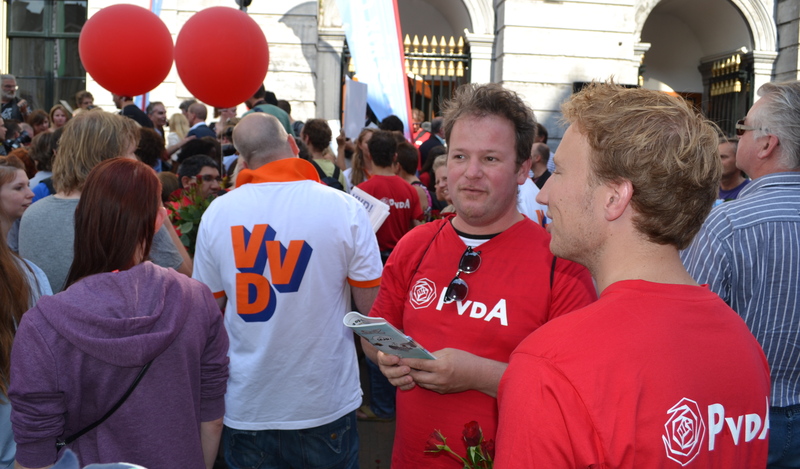 Party leader Jan Roos was one of the campaigners against the EU-Ukraine treaty, which was rejected by Dutch voters in a non-binding referendum. 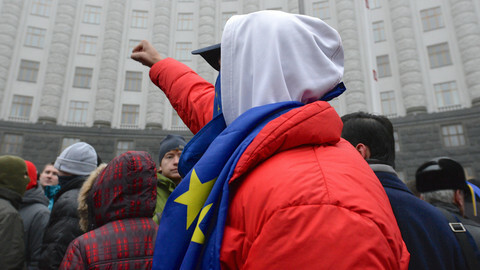 Another group that came out of the campaign against the EU-Ukraine treaty is Forum for Democracy. Its leader, Thierry Baudet, said when the forum was set up as think tank that it would not become politically active. But he told EUobserver that after the Dutch government decided to move ahead with ratification of the treaty, despite the No vote, there was no other option but to start a political party. Baudet wants the Netherlands to leave the EU, but wants to hold referendums to see if the Dutch agree with him. In addition to the 14 parties profiled above, there are another 10 competing, including the Pirate Party; a party that was set up by a eurosceptic Labour MP, GeenPeil, which promised that its MPs will always vote the way its members decide in online mini-referendums; and Artikel 1, an equality-focused offshoot of Denk which is more left-wing. Polls do not grant these parties any seats. The source for the average of polled seats is Peilingwijzer, which calculates the average of six polls. This article is second part of a Dutch elections explainer. Part one was about the electoral and political system.